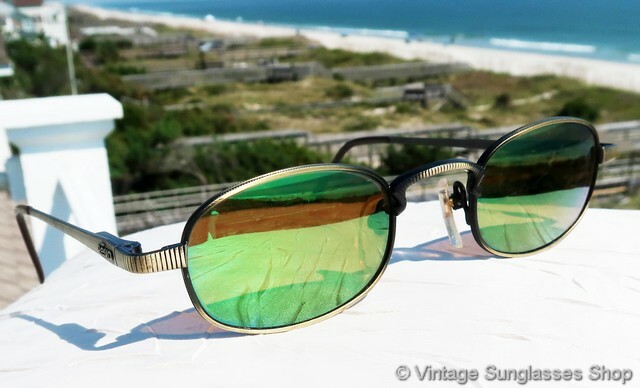 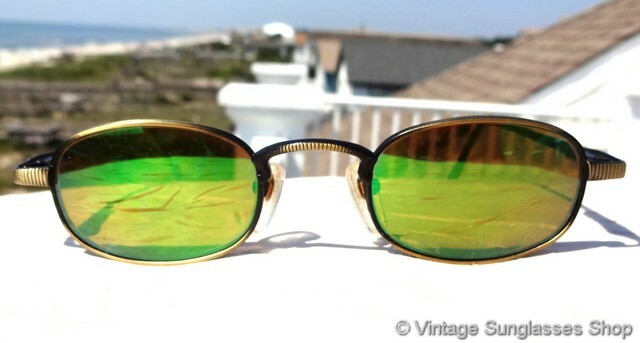 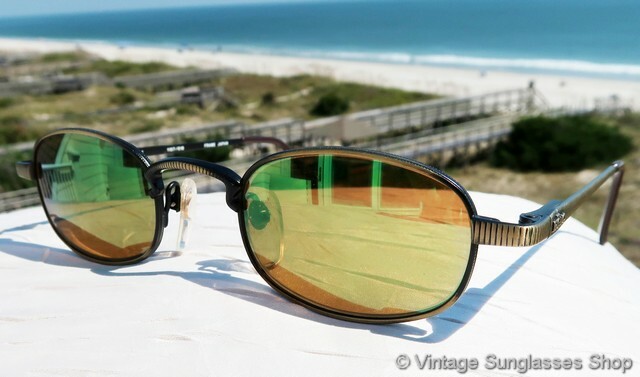 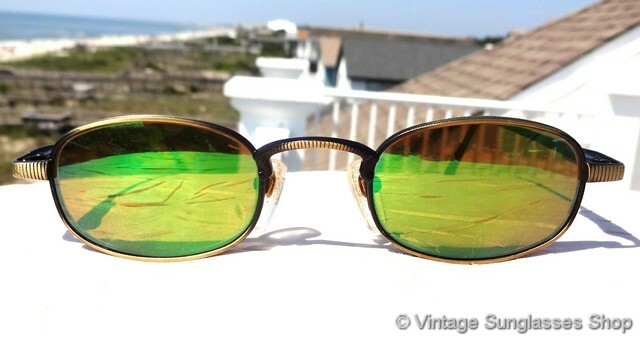 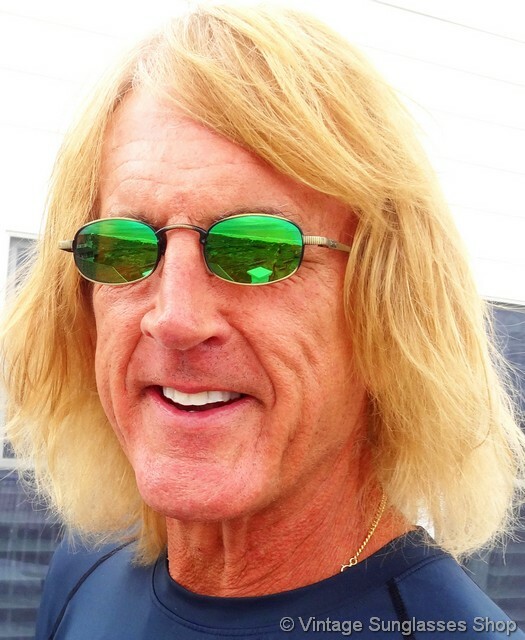 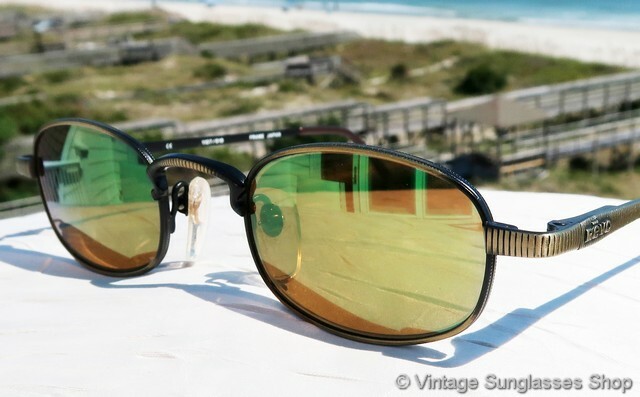 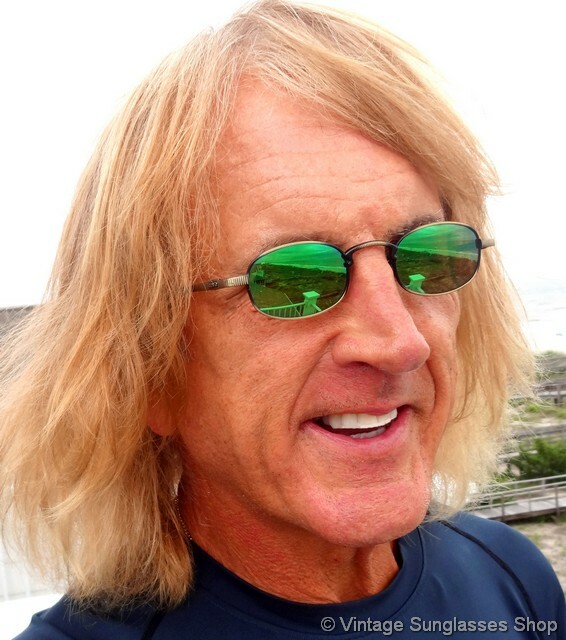 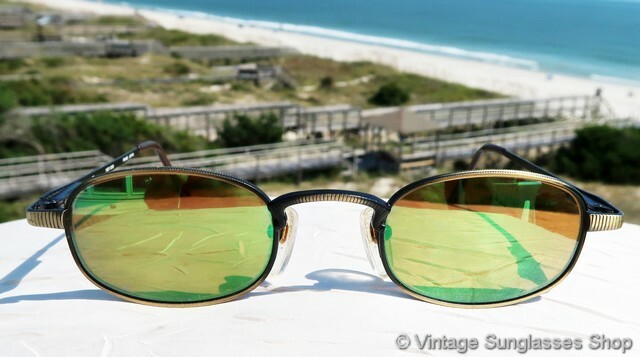 Vintage and rare Revo 1107 010 Cobra green mirror sunglasses feature an intricately etched antique gold frame and Revo green mirror lenses, one of the most distinctive styles Revo ever produced. 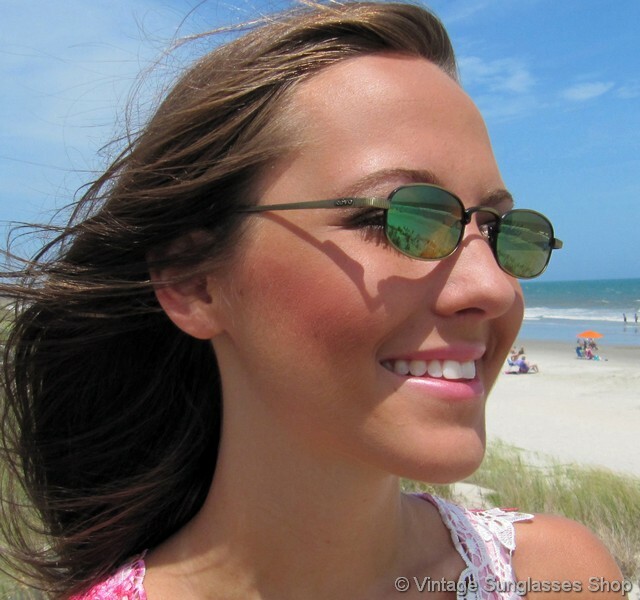 What immediately stands out with Revo 1107 sunglasses is the precise vertical etching that decorates the nose bridge, temples, and ear stems. 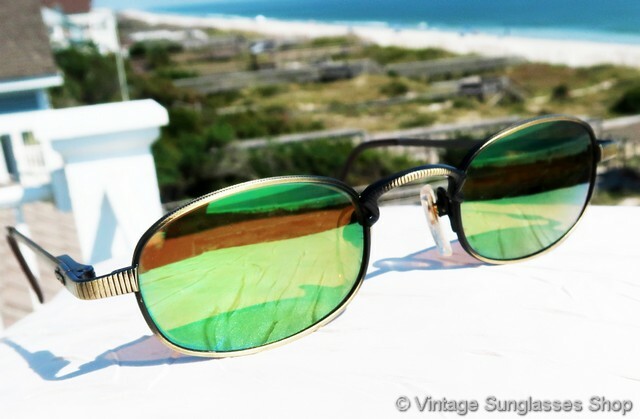 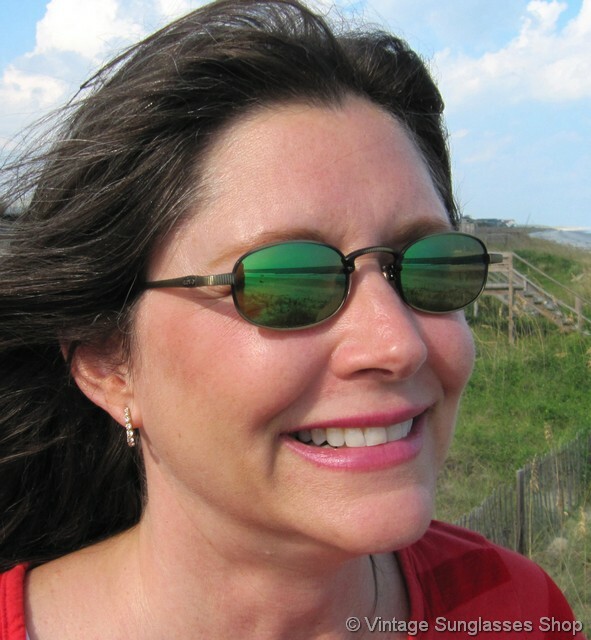 The rectangular Revo green mirror lenses measure approximately 1.675" x 1.125" at the widest points, and the intricately etched Revo 1107 010 frame measures approximately 5.0" temple to temple making them a popular selection for those that like smaller glasses. 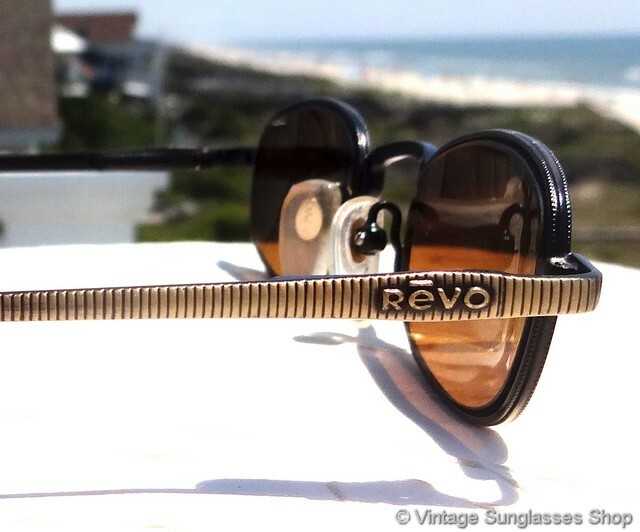 The Revo logo is cleverly integrated into the etched ear stems near the spring loaded hinges and the inside of one stem is marked CE 1107/010 Frame Japan. 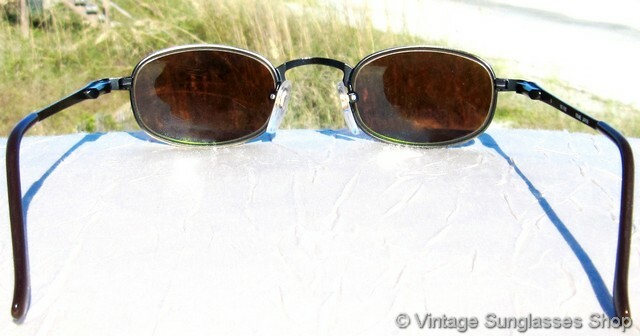 part of the collection of a well known TV industry figure and long time customer of the Vintage Sunglasses Shop.